This past week, I received a CD in the mail filled with newspaper articles from a researcher in Omaha, Nebraska and I began work on Ken Boyer’s 1951 season with the Omaha Cardinals of the Class A Western League. This was a critical season in Boyer’s development as a player. It was only his second full season of pro ball, but the Cardinals felt he was ready to jump four levels in the organization from Class D to Class A. The hitting ability he demonstrated as an emergency third baseman at Hamilton in 1950 finally convinced them to let go of their notion to convert him into a hard-throwing pitcher. So in addition to adjusting to a higher level of competition, he also had to learn the nuances of playing third base on an everyday basis. Boyer’s manager at Omaha was George Kissell, who would later become the sage of player development for the Cardinals and keeper of the Cardinal Way that stressed fundamentals and how to play the game the right way. At this time, however, Kissell was 30 years old and still a player-manager. He was a teacher and worked with the 20-year-old Boyer on fielding the position, just as he would work with future Cardinals Mike Shannon, Joe Torre, and Todd Zeile. Boyer improved at Omaha and by the end of the season, he began showing flashes of defensive greatness that he would eventually bring to St. Louis in the 1950s and ’60s. Among Boyer’s teammates at Omaha in 1951 were future Cardinals Joe Cunningham, Wally Moon, and Willard Schmidt, a right-handed pitcher who had a 19-14 record and league-leading 202 strikeouts and 2.11 ERA that season. Ken and “Schmitty” became good friends and roommates in the minor leagues and once they reached St. Louis. Another teammate who never made it to the Cardinals but nonetheless had a Hall of Fame career was Earl Weaver, a St. Louis native who at the time was a scrappy second baseman toiling in the Cardinals organization. 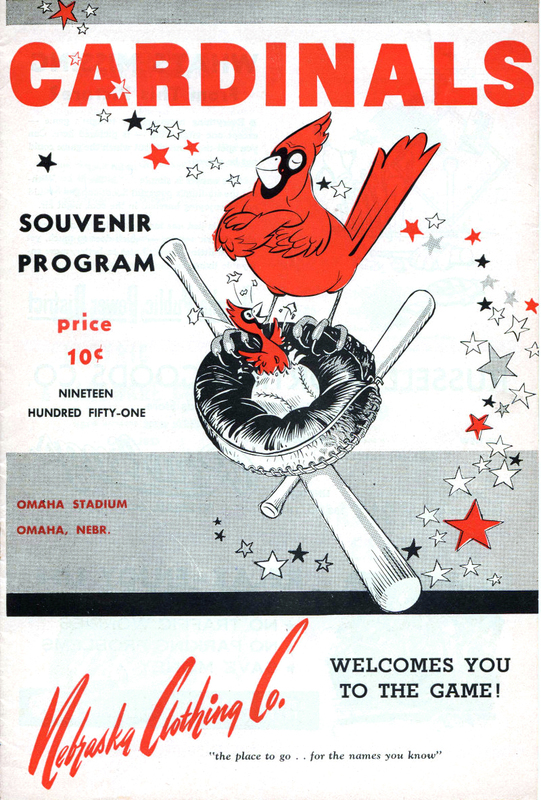 The Omaha Cardinals won the Western League title (90-64-1) in a close finish, but lost in the first round of the postseason playoffs to the Sioux City Soos. It turns out that after the playoffs, Ken and Willard Schmidt were called to St. Louis for a brief “look-see” with the Cardinals before the team finished the season. That was a bit of information I had never come across in either of the biographies written about him! Boyer hit .306 with 14 home runs and 90 RBIs for the season. As a side note, I’m working on a Kickstarter project to help raise funds for research and publishing expenses, including a spring research trip to St. Louis. I hope to make an announcement this week about it. If you have the financial means and can give a little, that would be awesome. Every little bit helps. Thank you!